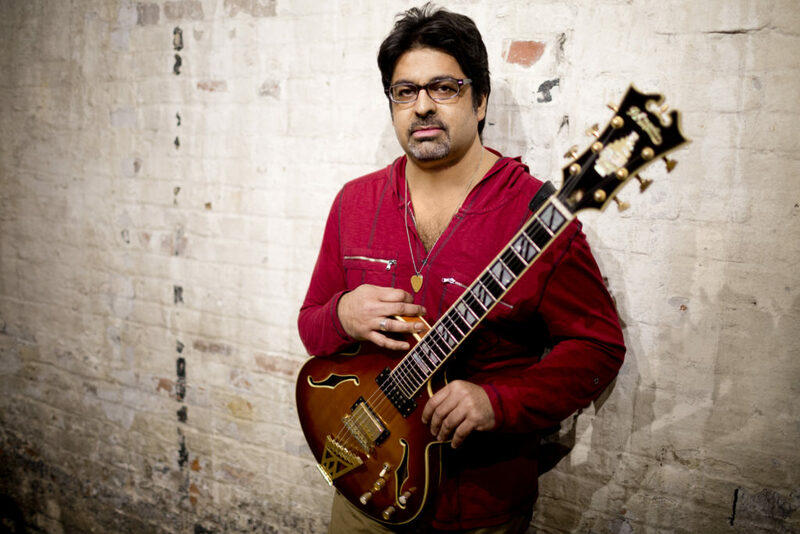 Over the past several decades, guitarist and composer Rez Abbasi has been "fusing" sounds from India and his native Pakistan with the varied influences of Western Music, specifically jazz and blues. 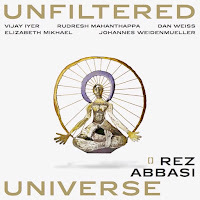 His 12th album as a leader, "Unfiltered Universe" (Whirlwind Recordings), features his long-time companions Vijay Iyer (piano), Rudresh Mahanthappa (alto saxophone), Johannes Weidenmueller (bass), and Dan Weiss (drums) and adds the cello of Elizabeth Mikael. Iyer, Weiss, Mahanthappa, and Weidenmueller appeared on 2011's "Suno Suno" and 2009's "Things to Come" and the leader sees this record as a third in a trilogy of recording that use South Asian music as touchstone for his compositions and the improvisations. The blend of alto sax, acoustic piano, and guitar with this highly active rhythm section makes for a winning combination. "Propensity" opens the program and, right from the start, the listener should pay attention to the different components. The extended melody, the powerful combination of bass and drums, the vocal characteristic of Mahanthappa's alto sax, the way the arrangement includes the cello as counterpoint. and the excellent solos. The title track follows. This melody, played by the alto and guitar, has a lovely almost melancholy flavor especially when the cello enters shadowing the lines played by the piano. Notice the "freedom" yet structure in the rhythm section during the solos as well as Iyer's heavy chordal work. The rhythms slow down at the onset of the piano solo and one can really hear the articulated notes and how, slowly, surely, Iyer works in tandem with Weidenmueller and Weiss. With exception of "Thoughts", a short (1:41) but rambunctious guitar solo, the songs stretch out but no piece is overdone. It's fun to hear how the tempos change within songs, how the different voices interact, how the power of the alto sax is matched by the guitar and piano but is not a "war" of virtuosi. The leader plays with great fire throughout yet there are moments of simple beauty as well. The longest track (11:54), "Turn of Events", take its time to get going but once the song hits a rhythmic stride, the musicians still don't hurry. The mysterious melody finally arrives, played by the guitar, sax, and cello and it's as if everything as fallen into the right places. Soon, Mahanthappa and Abbasi are soloing together as the pianist pulls the rhythm section forward. But, they drop for a piano solo framed by only the bass and drums yet you can hear how Iyer builds his powerful spot from the main melody and rhythm of the composition. Ms. Mikael steps out for a quick solo with Weidenmueller's bass as a counterpoint before the bass is by himself. Guitar and piano create a percussive dialogue before the sextet returns for the reprise of the opening theme. "Unfiltered Universe" is structured yet has such a "free" feel at times it seems as if the musicians are spinning a magic story. While Rez Abbasi talks about the importance of carnatic music to this album, all the influences seems to have merged into an original sound. Give a listen and then another - this music all seduce you. For more information, go to www.reztone.com. It was Peter Margasak in the Chicago Reader who hipped his readers to the "Flow", the new Delmark album from the Paul Gialorrenzo Trio. I went out and purchased the album on the power of his suggestion. Yes, it's a piano trio album, released at a time when one get lost easily in the plethora of piano trio recordings. But, I understand his enthusiasm. 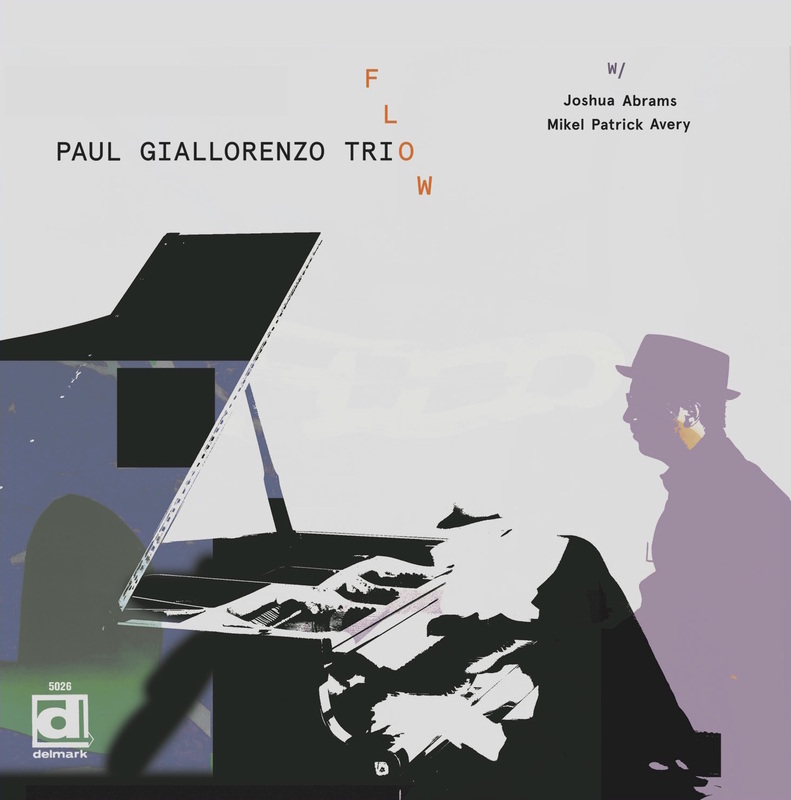 Pianist and composer Gialorrenzo, a native of Long Island, NY who now resides and works in Chicago, has crafted an album that may remind some of work of Herbie Nichols or Bud Powell or Thelonious Monk. He's not afraid of changing tempos in mid-phrase and is blessed to have the rhythm section of Joshua Abrams (bass) and Mikel Patrick Avery (drums) who not only follow his creative paths he creates but push, poke, prod, and "swing like mad" along the way. Listen to how "Rolling" does just that, how it rolls along on the walking bass lines and ride cymbal and how the melody and solo dances atop it. Throughout the nine-song program, the emphasis is on melody, interplay, and the narrative Giallorenzo weaves into every track. Feet have to tap on "Flipd Scrip" and heads will lean in on the opening melody of "Interstice": with the entrance of bassist Abrams on the latter track, the piece moves in a "freer" direction but never goes all the way out. In fact, there's a section that is "deep" blues. The two pieces that bookend the album, "A-Frolicking" and "A Way We Go", point to the playfulness of this music, the type of repertoire that make audiences sit up and smile. 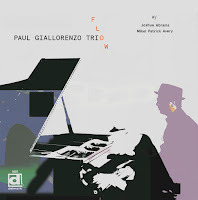 The Paul Giallorenzo Trio swings with glee, the music never feels forced, and you can see the musicians are paying close attention to each other. "Flow" is a delight from start to finish. 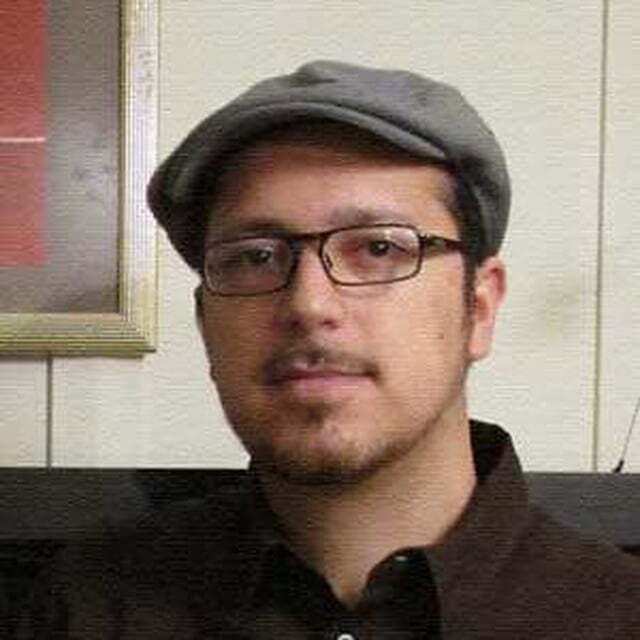 For more information about this fascinating musician, go to paulgiallorenzo.com. Saxophonist Nick Hempton (alto and tenor) has issued four fine albums on Posi-Tone Records, mostly with his fine Quartet. 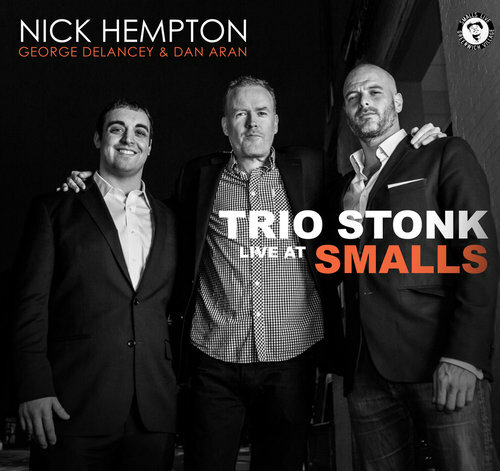 With the release of "Trio Stonk: Live at Smalls" (SmallsLIVE), the Australian native has downsized but not to the detriment of his music. With his rhythm section - George DeLancey (bass) and long-time associate Dan Aran (drums) - Hempton moves his way through seven pieces, five of which are originals. Not hard to compare some of the pieces to the 1950s Trio work of Sonny Rollins - listen to the opening of "Dropping A Franklin" or the playful take of "When I Grow Too Old to Dream" and you can hear it in the way Hempton phrases and the gentle swing of the rhythm section. There are even a few Rollins quotes on the opening of "Not That Sort of Jazz That Stewart Likes", a delightful romp that has an easy groove. The lovely take of the standard "Poor Butterfly" is a highlight, the alto sax dancing around the structural work of the bass and drums. The singing tone of the sax, the gentle brush work, and intelligent counterpoint from the bass, all combine for a sweet ballad. "A Whistling Blues" opens with just sax and bass playing a "down home" tune with the feel of David "Fathead" Newman supporting Ray Charles. The blues gets deeper when the drums enters to slowly push the tune forward. Trio Stonk plays with verve, a sweet sense of humor, and the desire to entertain people who like jazz. Neither confrontational nor challenging, Nick Hempton and company make music that's filled with joy, soaked in the blues, not afraid to swing, and possessing a sense of humor. Relax and dig into these tasty sounds. For more information, go to nickhemptonband.com.